The policy brief makes specific recommedations for practical steps that the Trump administration and the U.S. Congress can take, on a nonpartisan basis, early in the presidential term. 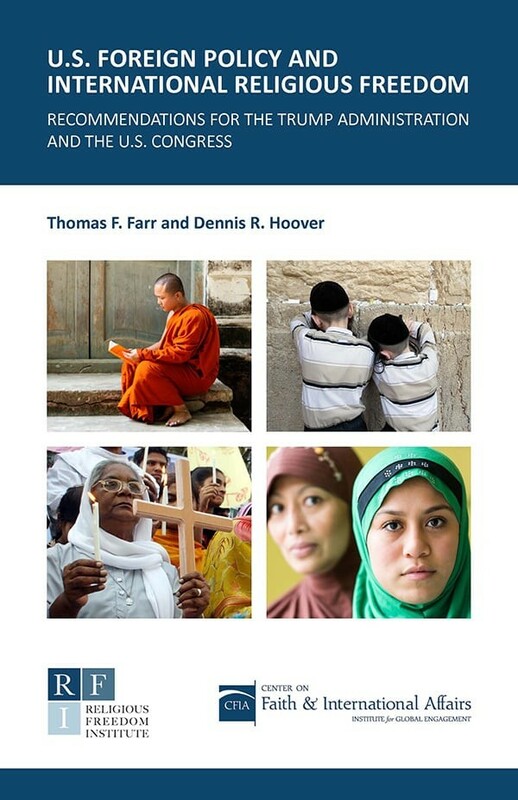 Co-authored by RFI President Thomas Farr and CFIA Director Dennis Hoover, the policy brief is the capstone of a series of events and publications on international religious freedom that began in the fall of 2015 with a major multi-faith conference at Georgetown University. Other highlights of the series have included a special issue of The Review of Faith & International Affairs on the theme “Faith, Freedom, and Foreign Policy,” and a lively panel hosted by Pepperdine University’s Washington, DC campus, focused on the question, “Can the Politics of Religious Freedom Stop at the Water’s Edge?” The series was supported by a generous grant from the Bradley Foundation. The new policy brief also builds on recommendations Farr and Hoover issued eight years ago at the start of the Obama administration in a policy report titled The Future of U.S. International Religious Freedom Policy: Recommendations for the Obama Administration.